Why Should The Devil Have All the Good Music:Larry Norman and the Perils of Christian Rock by Gregory Thornbury is a fascinating look at a complex figure. With iconic long white-blonde hair, Norman was the father of Christian rock, and arguably the most consequential Christian artist of the past 50 years. Plenty of interesting stuff about the early days of the Christian rock movement, the ups and downs of Norman’s career and his marriages, and his fathering of an illegitimate son (more about that below). 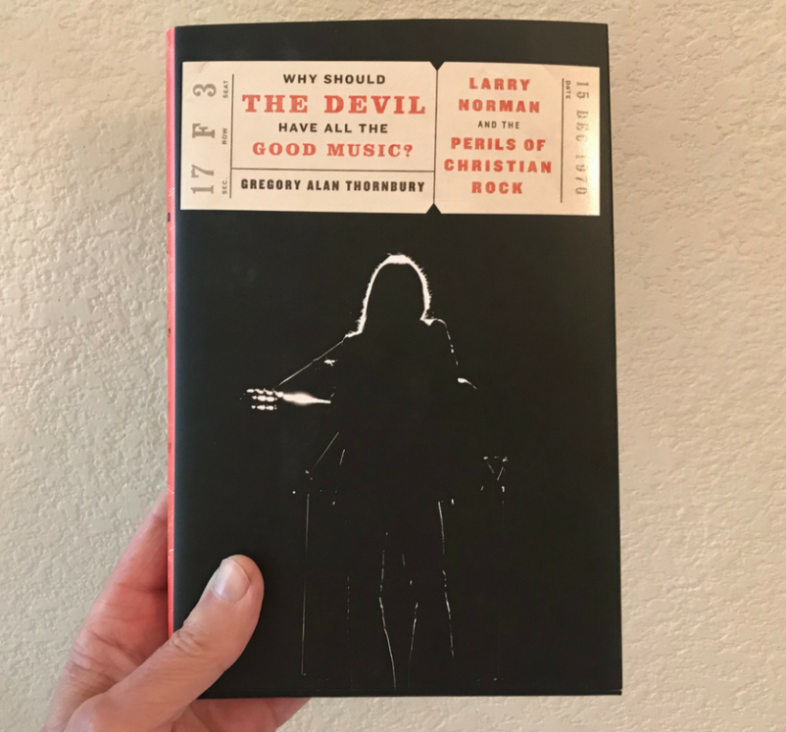 It was a little jarring to read about Larry Norman's continual relationship problems: he barely got along with anybody. Norman seemed to consistently "derail" relationships throughout his life, Randy Stonehill once said. That’s putting it mildly. On page 187, Thornbury writes, “Once close friends, the relationship between Phil Mangano and Larry Norman began to disintegrate." The same could be said of almost everyone who entered Larry Norman's orbit, whether through a personal friendship or a business relationship. Eventually they ended up feeling hurt or manipulated or betrayed by Norman. The level of broken relationships in Norman’s life is far beyond what you would expect from someone who was merely eccentric, or even a creative genius. So, what is the explanation? Norman often blamed his difficulties on a 1978 incident when he was on a United Airlines flight. Norman said an airplane ceiling panel came loose and struck him on the head, causing significant physical and mental problems. Yet Phil Mangano was on that flight, and has said the incident was not that serious. Norman's career does have similarities with another musical genius, Brian Wilson of the Beach Boys. Wilson had a long struggle with drugs and mental illness (schizoaffective disorder), and experienced significant conflicts with Mike Love and others. My one major complaint about this book, and the reason I give it 4 stars instead of 5: I don’t think the book adequately grappled with the issue of Norman’s illegitimate son. Thornbury plays it coy: he acknowledges there is anecdotal evidence that Norman had an out of wedlock son, but since a DNA test was never taken, he won’t say with 100% certainty that Norman was the father. Come on now, you don't need a DNA test to do the right thing. 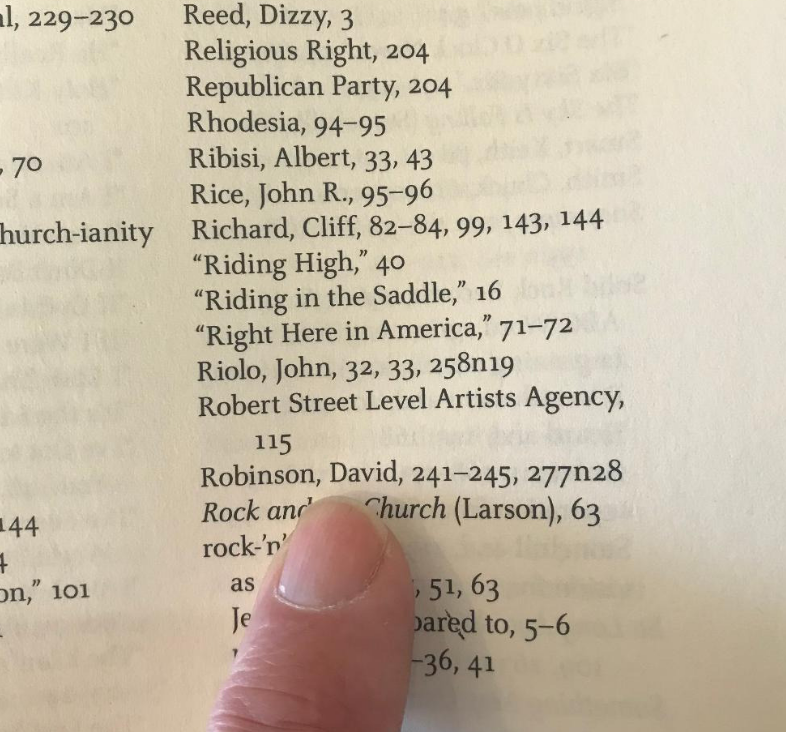 It is unfortunate that Daniel Robinson suffers one more indignity in Thornbury’s book; in the footnotes, he is called "David Robinson" instead of his real name, Daniel Robinson (see photo below). 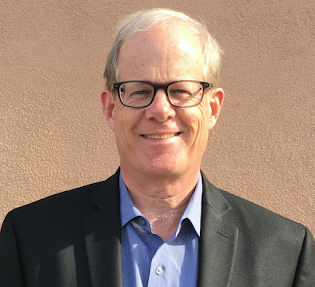 Larry Norman was troubled soul who spoke prophetically to the Christian church, even as his personal life was a mess. Thornbury has written a compelling and engaging book that will make you think. See it at Amazon here.